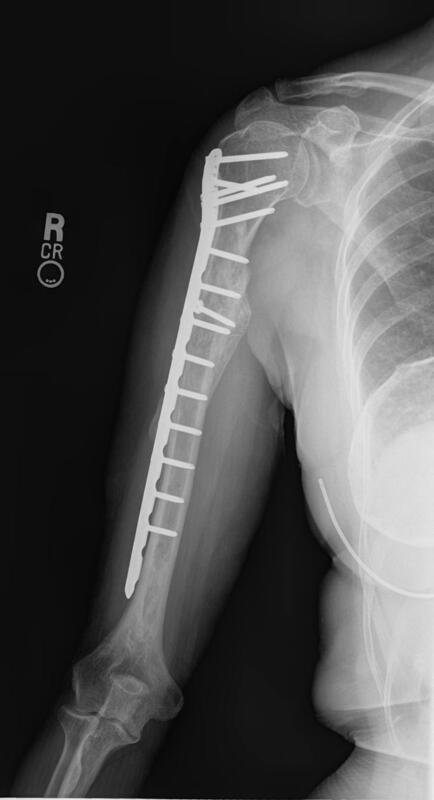 This x-ray of a 66-year-old woman 5 months after a humerus fracture initially treated at an outside facility by other physicians with a rod shows displacement at the fracture site and no signs of healing. 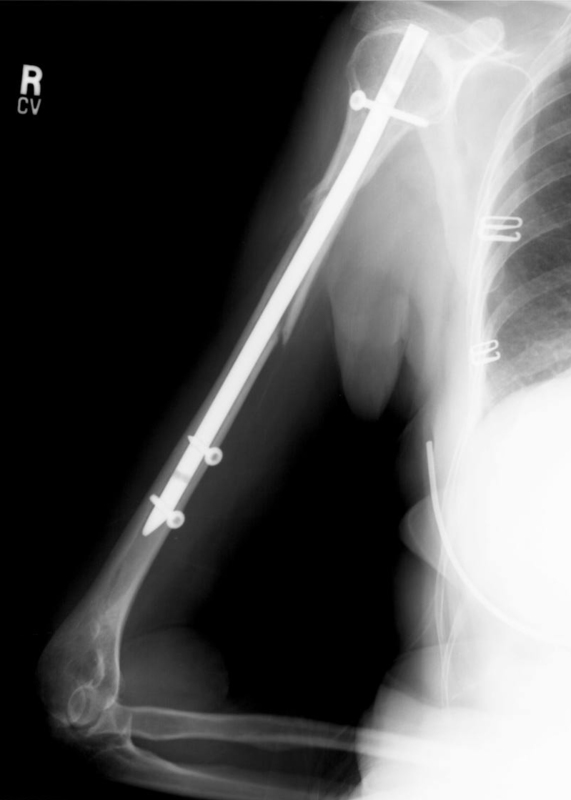 The patient was in considerable pain and was unable to work full-time as a salesperson. 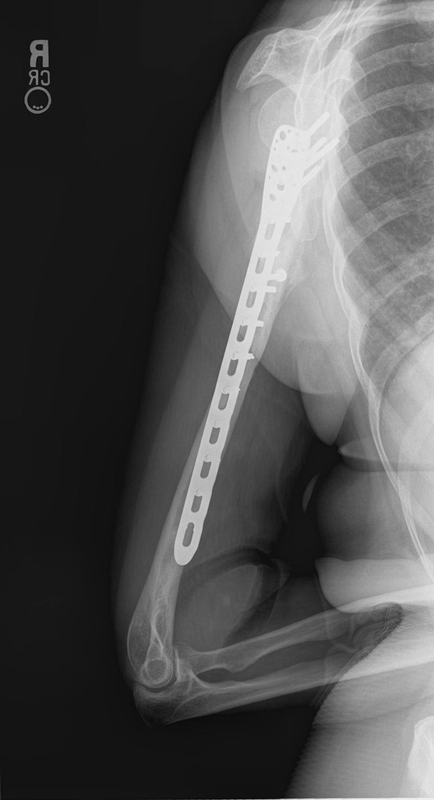 Final x-ray 6 months after surgery with a locking plate and bone grafting shows solid healing of the humerus. The patient has no pain and has returned to working full-time.